FN FNS9c Compact offers the same features as the standard models but have 3.6” barrels and is designed to be snag-free for better concealment and a faster draw. The front sight also has a larger dot for faster target acquisition. The FN FNS9c Compact comes with two 12-round and one 17-round magazine. This model also comes with night sights. FN FNS9c Compact or as we refer to it at FN57SALE as “the Glock Killer”, offers the same features as the standard models but have 3.6” barrels and is designed to be snag-free for better concealment and a faster draw. The front sight also has a larger dot for faster target acquisition. The FN FNS9c Compact comes with two 12-round and one 17-round magazine, which gives you the ability to carry a gun similar to the size of a Glock 26, and with the change of a magazine add an extended grip which is similar to a Glock 19. The internal components of the FN FNS9c are far superior to Glock in every way. The look, quality and durability is unmatched by any other firearms manufacturer. 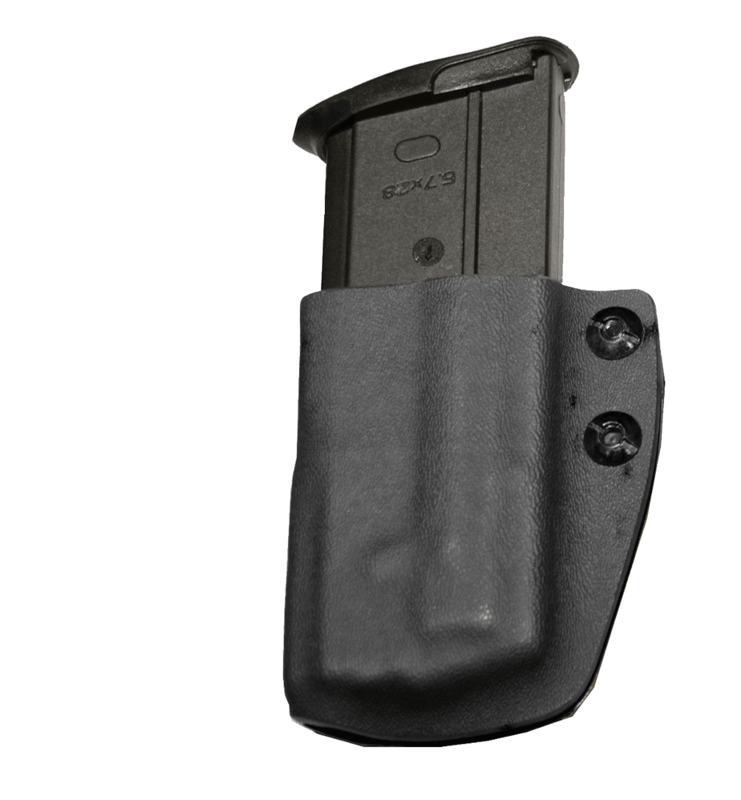 The Aluminum block that the slide sits on that connects the FN FNS9c frame to the slide is about 3x thicker than the Glock, which means tougher, more durable components. The trigger pull is also crisp and not gritty feeling like most of the factory Glocks. Cleaning the gun is a pleasure, just flip a lever and pull the slide off.